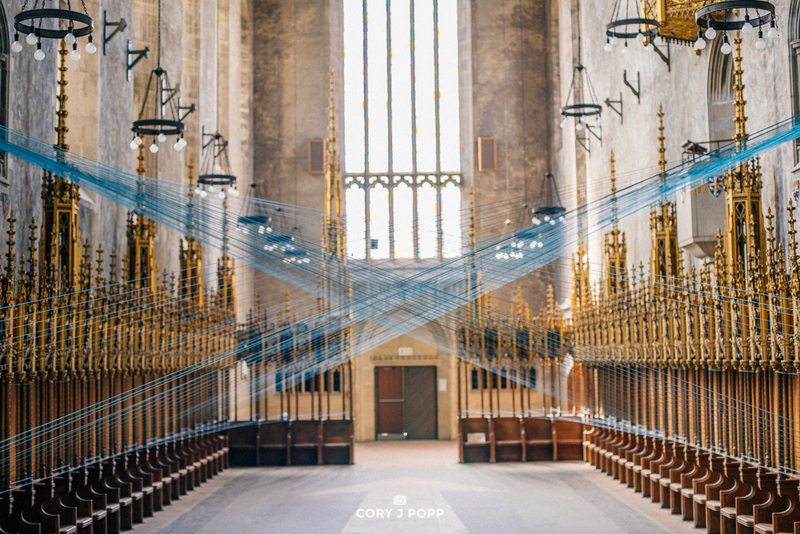 It's over now, sadly, but for those of you who missed it, Ci-Lines was a project consisting of 7000ft of symmetrical strings hung around the vacant St. Andrews Chapel in West Philadelphia. The artist, Aaron Asis wanted the installation to highlight the space, giving Philadelphia the opportunity to occupy the otherwise vacant chapel. The network of strings are hung above your head as you walk forcing your eyes upwards to details you might not otherwise notice. Many thanks to Aaron for bringing life into this vacant space.